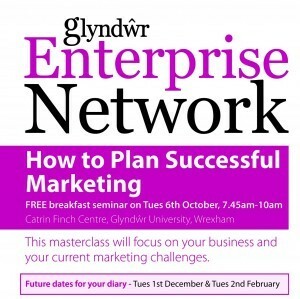 I will be holding a free Masterclass on 6th October 2015 at Glyndwr University Wrexham. Using an exclusive nine piece marketing plan puzzle, this master class will show you how to plan successful marketing. You will be given the tools, processes, time and guidance to focus on a couple of pieces of the puzzle chosen by the group. The whole session will be related to your business, your customers and your competitors helping you get the most out of your marketing activities.